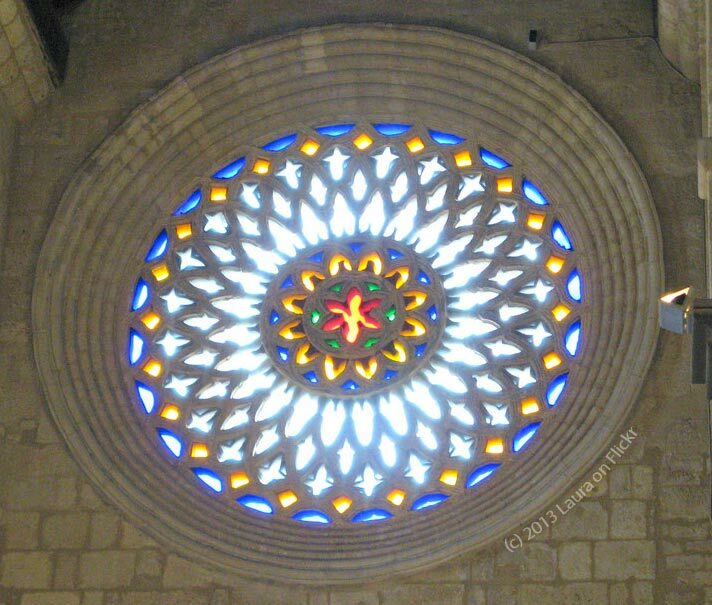 J. Labrado shot his fabulous image of the rose window in San Lorenzo Church in Cordoba, Andaluzia, Spain. I love how the 6 concentric circles, expanding outward, frame this intricate mandala-like design, which within it contains rows of patterns that expand from 6, to 12, and then out to 24. San Lorenzo is a church in Córdoba, Andalusia, southern Spain. Situated in the historic centre, it was one of the twelve religious buildings commissioned by king Ferdinand III of Castile in the city after its conquest in the early 13th century. 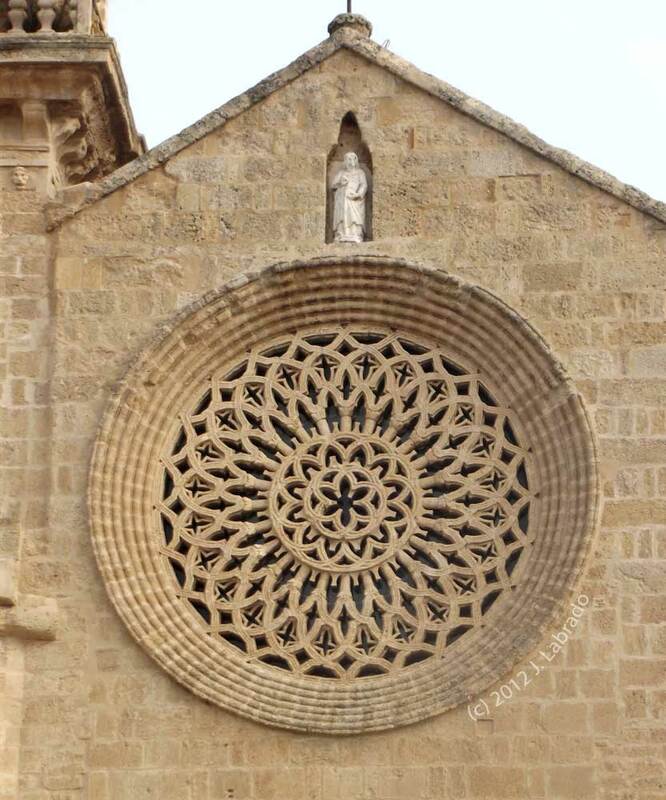 The church occupies the site of a pre-existing Islamic mosque, which in turn had been built above a Visigothic church. It was built between around 1244 and 1300, in a transitional style between Romanesque and Gothic architecture. 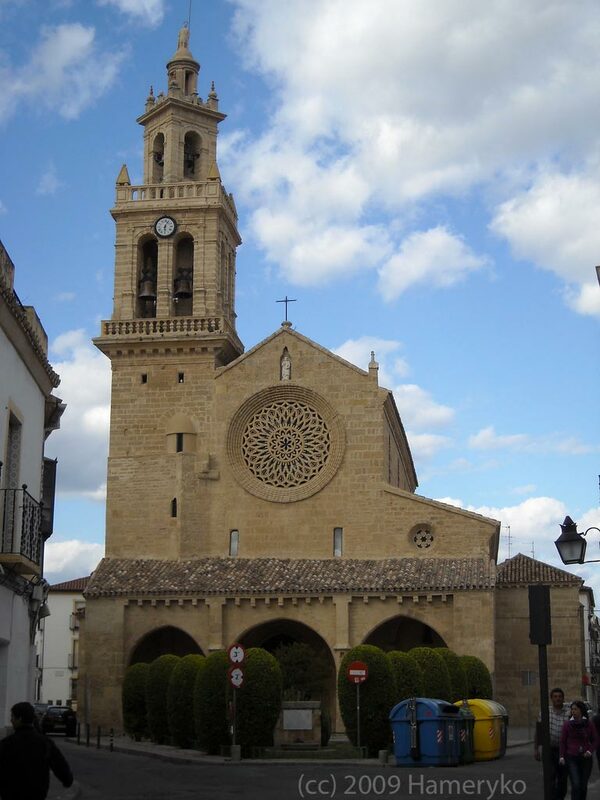 It has the typical structure of Andalusian churches of the period, featuring a rectangular plan with a nave and two aisles, without transept and an apse. View more of J. Labrado’s photos via his flickr page. Today’s MotD promotes expansion. Like spirals and fractals, our existence on earth and beyond is all about expansion. It’s in our nature to expand and grow. When we stay with the status quo we’re actually resisting our natural state of expansion. With resistance comes friction and stress. I allow myself to expand and grow with joy, ease and grace.